Afghanistan 2.0. Will Uzbekistan Survive the Death of President Islam Karimov? 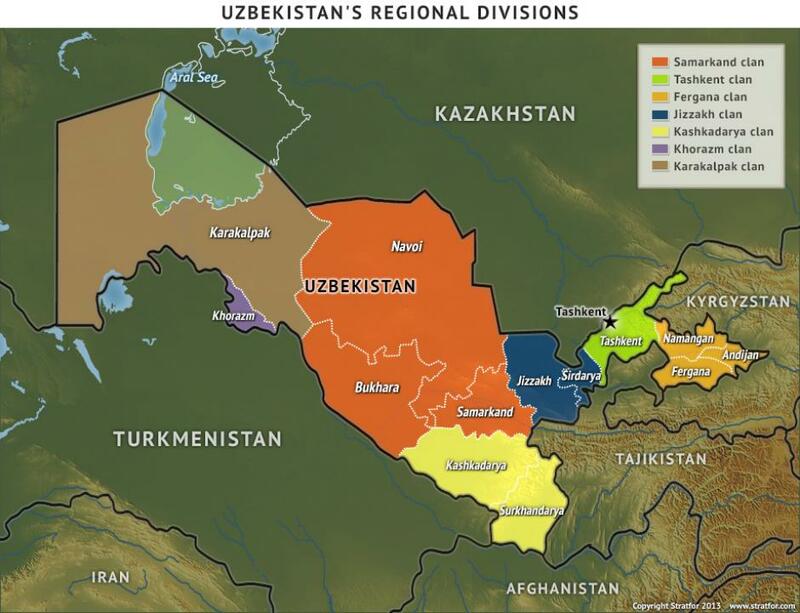 The history of Uzbekistan after the break-up of the Soviet Union in the early 1990s is replete with ethnic division, civil strife and Islamic militancy. It is widely acknowledged that only the successful, yet often repressive leadership of one man, Islam Karimov, has been able to keep the nation together. Islam Karimov ruled the nation for over 26 years, and his death on September 2nd, 2016 now casts doubt on any potential successor’s ability to keep the nation from fragmenting along ethnic, religious and geographic lines. The Fergana Valley, a fertile valley that is also a major strategic gateway in Central Asia that straddles the old Silk Road, has been a hotbed of Islamic militancy and ethnic strife for generations. A number of Islamic terrorist organizations have found their genesis in this region since 1991, including the Islamic Movement of Uzbekistan (IMU). The IMU has been active in the neighboring countries of Pakistan, Afghanistan, Kirghizstan, and Tajikistan. The IMU has splintered into pro-ISIS and pro-Taliban factions over the past decade, and continues to pose a destabilizing force to the future of Uzbekistan and all of Central Asia. The Fergana valley is a hotbed of Islamic fundamentalist activity and a strategically important crossroads for all of Central Asia. This fertile valley is densely populated in comparison to the surrounding dry and arid Kyrgyzstan and Tajikistan that surround it, as well as the bottleneck of land that connects it to the rest of Uzbekistan to the West. The coming months will witness whether or not the Uzbek political bureaucracy, the armed forces and internal security apparatus possess the leadership and capability to keep the nation together and in a state of peace. Although rather small and reliant on soviet era weapons and equipment, the Uzbekistan Armed Forces have been able to provide security to the nation. More importantly, the National Security Services (SNB), which has received far more investment and attention under the Karimov regime than the armed forces, will most likely bear the brunt of countering any internal or foreign attempts to foment unrest. The coming year will test the capabilities of the SNB on many fronts. 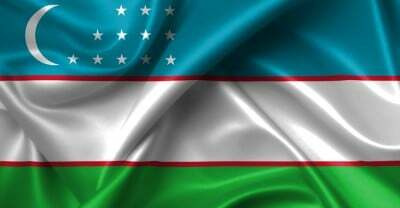 The Republic of Uzbekistan became an independent nation in 1991. Islam Karimov had been the leader of the Uzbek Soviet Socialist Republic prior to the dissolving of the Soviet Union, assuming the post in 1989, and continued on as its president upon independence in 1991. Often criticized in the west as a post-Soviet dictator, Karimov actually had moved to improve relations with the U.S. and NATO following the events of September 11th, 2001. Karimov allowed NATO the use of the Karshi-Khanabad airbase to aid efforts in invading and occupying Afghanistan during Operation Enduring Freedom. The airbase would prove a key logistics asset in pursuit of U.S. efforts. In his ongoing struggle to maintain the nation as an Islamic, yet secular state, Karimov found himself often at odds with a devout Islamic population, powerful tribal infighting, and the harmful, yet ever present influence of Islamic fundamentalism. These forces all coalesced, culminating in 2005 with a fateful tragedy in the city of Andijan. A general uprising in the city was crushed by the SBN and Army troops when they opened fire on allegedly unarmed protesters. Official reports state that 187 protesters were killed, but the actual number (according to some media reports) may have exceeded 1,000 dead. The United States responded to the incident with strong criticism in bilateral communications and through the United Nations. Karimov interpreted the U.S. actions as a stab in the back, and demanded that the U.S. led NATO forces vacate the Karshi-Khanabad airbase within 6 months. All NATO forces left the base by November, 2005. 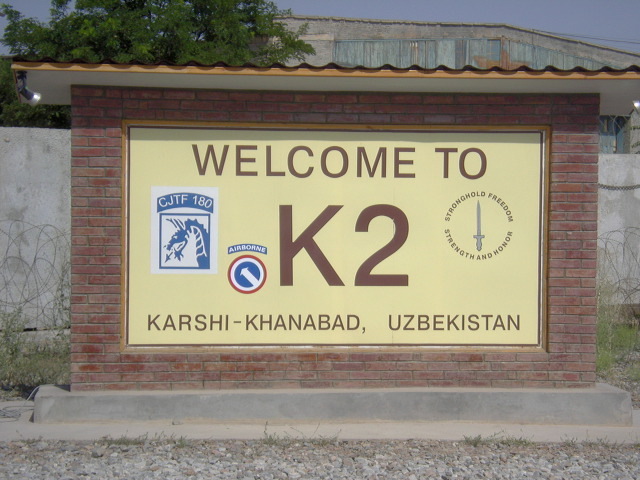 U.S. and NATO military assets were based at Karshi-Khanabad airbase (dubbed K2) for a period of approximately four years in support of NATO operations in Afghanistan. They departed the base in November of 2005. Karimov may have come to the realization at that point, that the United States was not interested in aiding secular governments against Islamic fundamentalism in the Middle East and Central Asia. To the contrary, the U.S. was fueling and instigating Islamic radical movements, both directly and indirectly, all over the region. Karimov turned toward Russia and President Putin in finding a more reliable partner in his struggle to maintain the stabilizing influence of a secular government for Uzbekistan. Russia had been fighting a war against U.S. and Gulf State sponsored Islamic insurgents in its Southern Caucasus Republics for over a decade. This partnership would eventually lead to the Russian Federation and the Republic of Uzbekistan signing a mutual defense treaty in 2005, and Uzbekistan becoming a member of the Collective Security Treaty Organization (CSTO) from 2006 to 2012. Uzbekistan had already become a member of the Shanghai Cooperation Organization (SCO) in 2001, of which Russia is also a member, and remains in the organization at present. Uzbekistan has been plagued by the specter of Islamic fundamentalism and terrorist organizations since its independence. Although Islamic fundamentalism existed prior to independence, it did not gain much traction until just before the fall of the USSR and the turbulent years that followed. In the turbulent 1990s, a number of notable Islamic groups that desired the overthrow of the secular state and the establishment of a greater “Turkestan” Islamic Caliphate in Central Asia were established. Most notable are the Islamic Movement of Uzbekistan (IMU) and the Islamic Jihad Union (IJU). Both groups have perpetrated attacks against the government of Uzbekistan and have found sanctuary in neighboring countries. The Islamic Movement of Uzbekistan is an internationally recognized terrorist organization that has been in a state of flux since its inception. Plagued by infighting and fractious loyalties in recent years, it is still very much a threat in light of the power vacuum that may come in the wake of Islam Karimov’s death. Karimov fought the IMU, and used it as an excuse to persecute anyone that threatened government control of religion, for the entire 27 years he was in power. The movement attempted to assassinate him in 1999, amongst a host of other terrorist bombings, including suicide bombings, over the past twenty seven years. Karimov’s strong man rulership kept the lid on the radical Islamist bottle, and for most of his presidency, the IMU has been forced to find refuge in neighboring states, most notably Afghanistan and Pakistan, while launching attacks sporadically across the border. In recent years, the IMU has faced setbacks and a culling of leadership after the organization splintered amongst membership that declared allegiance to the Islamic State and those that maintained ties with the Taliban. 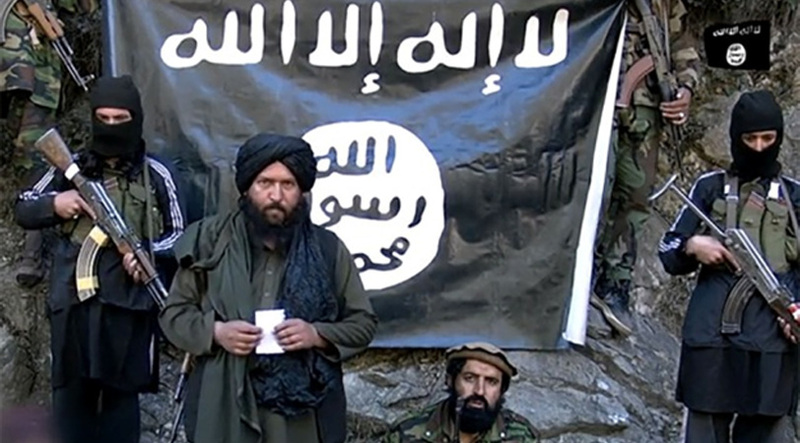 The IMU’s Taliban allies did not take the declaration of allegiance to ISIS lightly. This exacerbated a long running feud that dates back to the death of Mullah Omar. In November of 2015, Taliban forces loyal to Mullah Omar largely destroyed an IMU group fighting alongside a Taliban splinter group in Afghanistan. Many IMU members are now fighting alongside ISIS and al-Nusra in Syria. 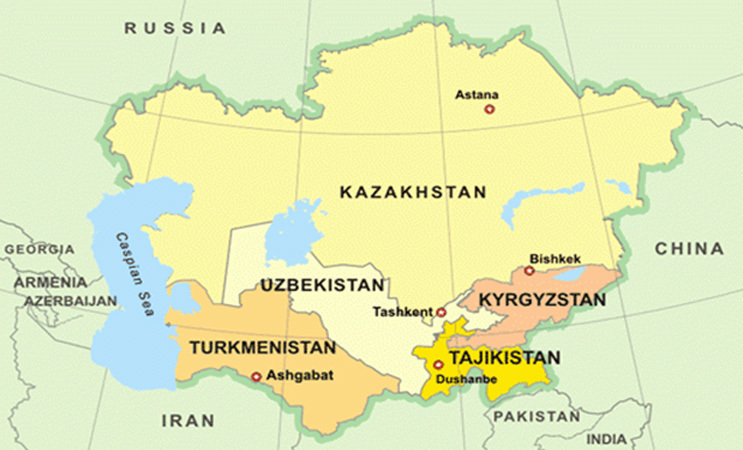 Other than Uzbeks, the IMU is largely made up Tajiks, Kyrgyz, Uyghurs, Chechens, and Arabs. IMU leader Usmon Ghazi declaring allegiance to Islamic State in August, 2015. This fractured the IMU once again, and has led to much infighting and bloodshed between the Taliban, IMU and IS in Afghanistan. The Islamic Jihad Union (IJU) is actually a splinter group of the IMU that desires to create a pan-national Islamic state. The IJU was established in 2002, and was based in Waziristan, in northwest Pakistan. The group was connected to foiled terrorist plots targeting civilian targets in Europe in 2007, but has largely been active in Pakistan, Afghanistan and Syria. Due to a high percentage of Turkish membership, the organization has largely sent fighters to Syria in recent years. There is no doubt that Islamic fundamentalist groups such as the IMU and IJU will attempt to take advantage of any power vacuum or internal struggle created in the wake of President Karimov’s death. Many members of these terrorist groups have been fighting in Afghanistan and Syria over the past decade and a half, and have been battle hardened and further pushed down the road of Islamic fundamentalism and zealotry. International intelligence services and independent analysts are all in agreement that the security services of Uzbekistan are going to be challenged by these groups, as well as a number of other possible indigenous and foreign based threats, in a challenge to the long standing political power structure and social cohesion of the state in the coming year. Although larger and better equipped than most of its neighbors, the Armed Forces of the Republic of Uzbekistan are far from a modern, well-oiled military machine. Is the Uzbek military up to the task of providing for the security of the state against both internal and external threats? The answer is yes, and no. The Uzbek armed forces can defend the nation against any regional conventional force most likely to threaten the sovereignty of the state; however, the most likely threats to the state in the near future will not come from neighboring governments, and will be anything but conventional. The Armed Forces of the republic are comprised of Army, Air Defense and Air Force elements. The nation is comprised of five military districts, as per old Soviet practice, and units are allocated to these military districts according to the level of possible threats (internal and external) and according to established tactical doctrine. There are a number of permanently assigned units, as well as a number of independent motorized rifle brigades and an air assault/airborne brigade. In addition, there are at least three Special Forces (Spetsnaz) battalions which come under the direct command of the SNB. The Uzbek Armed Forces are primarily comprised of Soviet-patterned Motorized Rifle Brigades supported by independent Artillery Brigades, a number of airborne units, including one Air Assault/Airborne Brigade. These are supplemented by an unknown number of independent motorized units, Border Guard forces, as well as the three SBN controlled Spetsnaz battalions. Possibly one Artillery Brigade comprising of BM-21 Grad and BM-27 Uragan rocket artillery are assigned to the district. Tashkent is the capital of Uzbekistan, and the Tashkent HQ most likely relies more on Spetnaz and SBN forces for security and national defense concerns. Uzbekistan maintains a number of 2S7 Pion 203mm self-propelled guns and Tokcha ballistic missile launchers in its active TO&E, and these units are likely to fall under the command of Tashkent HQ. One Motorized Rifle Brigade and one Artillery Brigade. As well as guarding the nation against any immediate incursion from the nations of Afghanistan, Turkmenistan and Tajikistan, the units of the Central Military District cover the confluence of national borders (most volatile of which is the border with Afghanistan) and serve as a strategic reserve to the Eastern Military District. One Motorized Rifle Brigade, one Air Assault/Airborne Brigade and one Artillery Brigade. Without a doubt the most precarious region of the nation to defend and the most prone to internal strife and possible invasion, due to the strategic importance of the Fergana Valley. 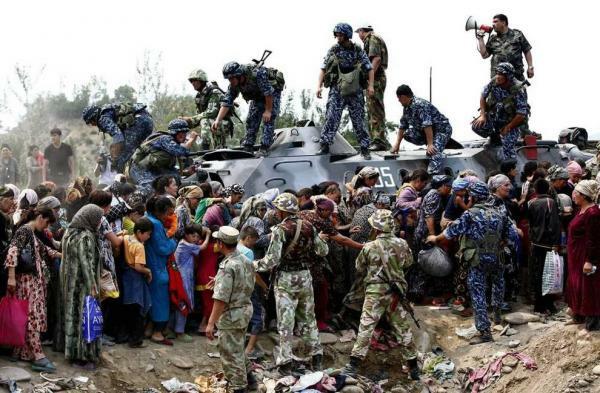 The military units responsible for defending the Eastern Military District are reinforced with a number of Border Guard units and SNB reinforcement. One Motorized Rifle Brigade. Afforded the natural barrier of the Aral Sea and only one nation on its northwestern border, the Northwest Military District is the most secure. One Motorized Rifle Brigade. Bordering Turkmenistan to the south, and supporting the Central Military District. It is important to note that this border is perhaps the most prone to illicit drug traffic originating in Afghanistan. The air assets afforded the armed forces are predominantly of Russian manufacture. 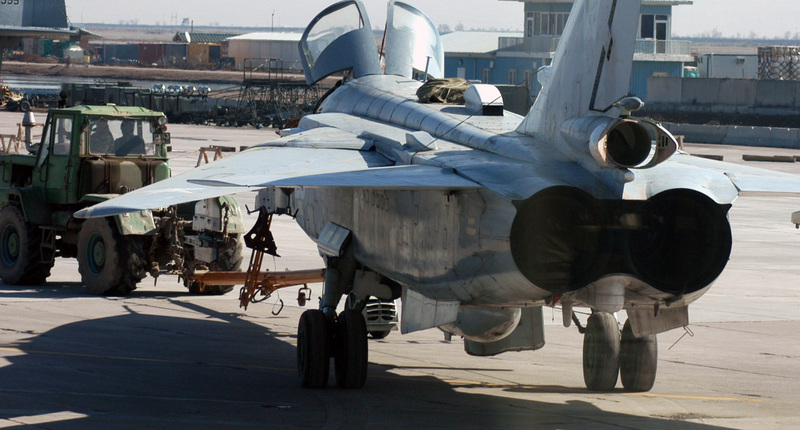 The Uzbek Air Force relies on Su-27 and Mig-29 air superiority fighters to secure national airspace. Focusing on internal security and counter-insurgency, the air force has largely focused on maintaining a small air attack component of Su-25 fixed wing aircraft and a large number of Mi-24 Hind attack helicopters. A sizeable number of M1-8/Mi-17 transport/assault helicopters provide air assault capabilities and high mobility for quick reaction forces. These rotary wing aircraft are invaluable in providing high mobility and rapid deployment in the vast and open desert of the frontier, as well as the rugged Fergana valley. Though the Republic of Uzbekistan Armed Forces are perhaps one of the most capable in the region in real terms (total personnel, equipment, etc. ), President Karimov directed far more funding, training and political focus toward the internal security apparatus of the state. Foremost among these assets is the National Security Service (NSS or SNB). Subordinated to the Interior Ministry since 2005, the SNB fills a similar function to the state as the CIA or the FSB. Much like the FSB, the SNB controls a number of Spetsnaz units, which it can utilize in a number of roles, including counter-insurgency, counter-terrorism, drug interdiction and a whole host of intelligence and paramilitary activities. There are three Spetsnaz battalions under the jurisdiction of the SNB; Alfa, Bars and Scorpion. These units have been utilized by the SNB to interdict drug traffickers illegally entering Uzbekistan from neighboring countries, and more importantly, to raid and destroy Islamic militant strongholds and safe houses within the country and along the frontier. The Spetsnaz battalions are organized along Russian lines, their organization and equipment being quite similar. These units provide the SNB with a viable tool to strike at IMU and IJU militants before they are able to conduct terrorist operations. Although mostly embracing Soviet era and modern Russian arms and equipment, the Uzbekistan Army and SNB have adopted some Western equipment. Most notable are the U.S. manufactured M-ATV, over 300 of which are supposed to be donated (although still in negotiation) to the Uzbekistan government. It is also apparent, despite German attempts to hide the fact, that Airbus has signed a contract with the government of Uzbekistan to deliver rotary and fixed wing aircraft. Uzbekistan military promotional videos released this year have shown both AS332 Super Puma transport helicopters and C295W transport planes in use. Airbus had been in negotiations with the Uzbekistan government to deliver 14 helicopters, both AS332 Super Pumas and AS350 Ecureils, since 2014. It is unclear whether the German government finally acquiesced to the deal (there had been an export ban on weapons since the 2005 Andijan massacre, although lifted in 2009), or if a new deal has been signed. Although the United States and other Western nations have chastised the often heavy-handed tactics of the SNB in its never ending struggle to insulate the state from Islamic militancy, both internally and externally, there is no doubt that these tactics have been successful over the past 27 years. President Islam Karimov relied on a close circle of trusted leaders, mostly from the “Tashkent Clan”, and a strong SNB, to rule over the ethnically divided and religiously charged nation. Many analysts believe that the most likely successors to Islam Karimov are Prime Minister Shavkat Mirziyoyev, or the head of the SNB, Rustam Inoyatov. Always a power behind the scenes, and extremely secretive Rustam Inoyatov will most likely decide to remain out of the spotlight, letting someone else appear as the public head of state. He will continue to wield a great deal of power regardless. The future of Uzbekistan, whether it holds the promise of continued stability or explodes into anarchy, largely depends upon the ability of the national leadership to maintain a strong sense of national identity among all Uzbeks, regardless of ethnicity, and to minimize the influence of Islamic militant groups within the country. The very fact that approximately 500 to 600 Uzbek militants are fighting with a number of groups in Syria, including with Islamic State and Imam Bukhari Jamaat, does not bode well for the long term stability of Uzbekistan. There is no getting around this problem, and it will have to be addressed in the near future. This is a shared reality for most Central Asian nations. Syria has provided Islamic militants from Central Asia with a perfect training ground where they can gain combat experience, learn and perfect the manufacture and utilization of explosives, and to establish a more extensive international support network. In such a zealous environment, where Islamic radical groups from around the world are free to practice the most violent and corrupt version of Islam, these fighters will continue further along the road of radicalization. Regardless of the outcome in Syria, there is no doubt that the internal security forces and the military of Uzbekistan will have to contend with the return of a large number of increasingly radicalized terrorist cells. It is just a matter of when. If an injection of such radical forces coincides with a power vacuum arising from President Karimov’s death, the SNB will be faced with a very dire scenario. In the immediate future, Uzbekistan is likely to experience increased government repression and total intolerance for any form of civil protests. The SNB is already increasing its counter intelligence and anti-terrorism activities, and is undoubtedly increasing surveillance of Islamic fundamentalists and separatists of all stripes within the nation and abroad. Any bloody confrontation reminiscent of the Andijan Massacre will be seized upon by the IMU and like-minded groups to foment unrest in the general population, and will lead to a renewed call to jihad. After years of fierce fighting in Syria, Uzbekistan may seem a soft target to many such Islamic terrorist groups. Kyrgyzstan security forces intervene to stop clashes between Kyrgyz and Uzbek groups in Osh, on the border between the two nations on the eastern edge of the Fergana valley. Ethnic conflict in the region is a constant threat to stability. The Republic of Uzbekistan stands at a crossroad. Either the nation embraces the stability of a secular government, and subordinates ethnic differences and religious life from public governance, or the people of the nation embrace the fragmentation of the state along ethnic and theocratic divisions. Regardless, the full force of Inoyatov’s SNB will be harnessed to insulate the state from the growing threat of Islamic fundamentalism. Ironically, Uzbekistan now stands threatened by the radical forces that it deposed and deported years ago. The IMU and its many factions and offshoots have only grown in number and capability in the intervening years. Now they are poised to return home, emboldened and empowered. The fate of Uzbekistan may seem inconsequential to many. It is a poor country in the middle of Central Asia; however, in many ways it stands out as a singularly important domino, poised to be tipped over. The threat of Islamic Fundamentalism has been growing in Central Asia, held back by a multi-faceted defense strategy that utilizes many conventional and asymmetric components. The pivotal battle that is being waged in Syria will have a profound effect on the future of the entire region and the world. If the national leadership falters and the citizens of Uzbekistan fall to the destructive and murderous siren call of Islamic fundamentalism, all of Central Asia could descend into chaos.